The Tasmanian Bands League (TBL) was formed April 1946 in Launceston. It is presently comprised of sixteen different community banding administrations with representations from Hobart, Launceston and the North West Coast - some of whom operate more than one ensemble. There are currently more than 1,200 musicians registered with the TBL. One of our members the Latrobe Federal Band is the oldest, continuously operating brass band in Australia being formed in 1872. The standard of banding in Tasmania is regarded to be on a par with our mainland counterparts. 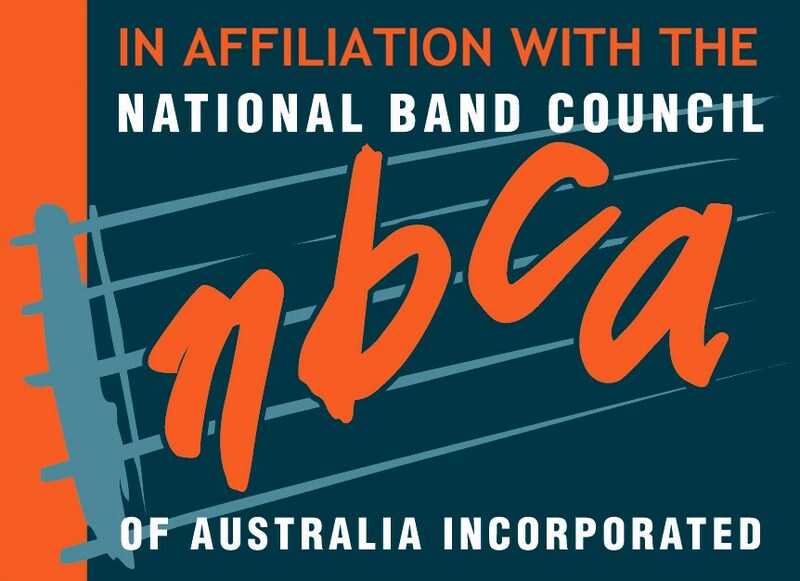 Community banding provides a musical outlet for a wide range of people in regional areas with many bands being supported by local governments. This is largely in recognition of the movement's contribution to local musical and cultural events. Brass or concert bands are regularly called upon throughout Tasmania to provide entertainment and "colour" in the form of concerts, parades, shows, fairs, sporting events and other community functions. The objectives of the Tasmanian Bands League are to promote the interests and objectives of its member bands; to encourage understanding and good fellowship amongst the Tasmanian banding fraternity; to foster and encourage the teaching and training of young musicians and to promote an appreciation of banding music and associated activities throughout the wider community. The League conducts annual band contests, solo and party competitions, music camps, workshops, marching events, various state banding ensembles and hosts the National Band Championships generally on a six year rotation. Tasmanian brass and concert bands regularly compete at a National level with quite a degree of success. Early records indicate that there was a Tasmanian Band Association which was formed on the 24th February 1914. The first general meeting of the association was conducted in the Hobart Town Hall Committee Room with the Mayor of Hobart, Alderman R.J. Meagher, presiding in the chair. The inaugural President was Mr. C. Davenport Hoggins Esq., a Barrister-at-Law. The Gormanston, Waratah, Queenstown, Zeehan Military, Launceston City, St. Joseph's, Railway, Williamsford and Collins Vale bands all became members of the Association during its first year of operation. In 1915 the Bischoff, Derwent, Hobart City, North Hobart and Tasmanian Military bands also registered with the TBA. However it was not until 1946 that the existing Tasmanian Bands League was formed on the recommendation of Mr. Verdi McMahon, the Bandmaster of the Launceston Railway Silver Band. There was a need for a committee of band representatives to meet from time to time on mutual terms to promote banding and contesting for the betterment of banding in Tasmania. The inaugural President of the Tasmanian Bands League was Mr. Alec Seymour of the Launceston Railway Silver Band and the Secretary Mr. A.E. Brain. The League commenced with membership from both brass and pipe bands and in 1946 their number included the St. Andrews Pipe, Launceston City, Launceston Railway, Burnie Municipal, Invermay, Returned Services Memorial, Hobart City and Queenstown bands. On Sunday the 27th October 1946 the first peace time band day was conducted at York Park, Launceston with the following bands taking part: Burnie Pipe, Hobart Memorial, Invermay Boys, Launceston City, Launceston Boys, St. Andrews Caledonian, Launceston Railway Silver, Latrobe, Burnie Marine, Devonport Municipal and Ulverstone Municipal. In 1947 the League agreed to organise band music and contests throughout the state. The first festival was organised by Len Round and items were Hymn, Massed Item and Quickstep Marching. The bands that took part were the same as those listed above. A Christmas Festival was held later that same year with several Victorian bands also in attendance. During Christmas 1949 there was to be a four day National Festival held but due to a poliomyelitis epidemic it was rescheduled for Easter 1950. The Collingwood Citizens, Ballarat Returned Soldiers and Maryborough Citizens Bands from Victoria all took part in that contest with the Launceston Railway Silver, Evandale Silver, Launceston Boys, Launceston City, Invermay Silver, Launceston Salvation Army, Hobart Garrison, Launceston Police Boys, Devonport and Latrobe bands all representing Tasmania. The TBL have hosted the Australian National Championships on eight occasions since 1969 with the most recent being conducted in Hobart during Easter 2010. It is also recorded that many Band Festivals have been held since the formation of the league with one at West Park in Burnie in 1955 attracting over 8,000 people. Over the years, several well known names have been recorded as Perpetual Trophy donors including L.H. (Bert) Bessell M.H.A., Sir Archibald Park, Max Gurr, Tom Margison, William Halley, Rupert Beahr, Joe Stanbrough, Bill Welling and Val Perkins. During the 1950's and 60's several other bands joined the league including Longford, Scottsdale, Circular Head, Rosebery, St. Joseph's, Campbell Town, Beaconsfield, George Town, Penguin and Wynyard bands. Unfortunately since this time some of these bands have either ceased to exist or are currently in recession. In 1996 to mark the 50th anniversary of the League a major initiative was undertaken to celebrate the Jubilee with the formation of a composite state brass band named Tasmania Jubilee Brass. This ensemble performed various regional concerts during August and was of such a success to warrant its reformation in five subsequent years. Over the years there have been eight Presidents of the League including the late Bert Bessell M.H.A. (20 years), the late Fred Hodgkinson (16 years), David Peters (15 years) and thirteen Secretaries including the late Joe Stanbrough (13 years plus 20 years as Treasurer) and Wendy Martin (11 years). Other people involved include Tom French, Owen Richardson, Tom Johnson, Max Gurr and Rupert Beahr.